In the recent past, BlackBerry has ditched its very own operating system for Android. However, Blackberry still offers certain unique features and DTEK is one of them. The DTEK by BlackBerry lets you see which apps are using your info on the device. While it is perfectly normal for the apps to have access to certain features/hardware it is also not uncommon for the apps to intentionally access certain features without your knowledge. 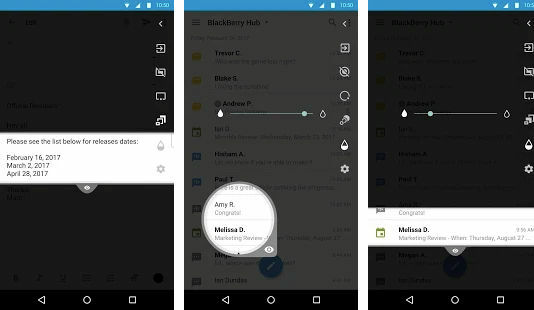 The DTEK security feature in BlackBerry monitors when an app takes a picture using the camera, attempts to access the device calendar, tries to edit or add contacts, sends text messages or tries to access the location of your device. That's not all, DTEK also creates a log that lets you see which features an app has accessed in the recent past. We have already seen how some apps are programmed to eavesdrop on our conversation and in such cases, the DTEK is a life saver. 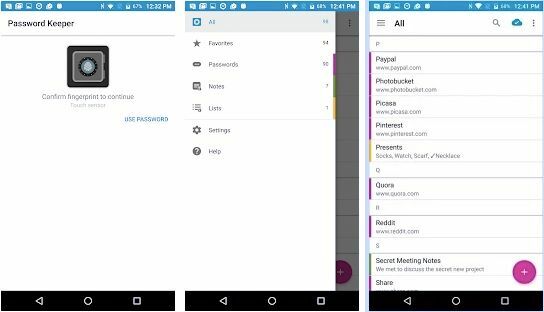 BlackBerry has its very own Password Keeper on Android. This application keeps a track of all your passwords across various apps and services. The vault saves all your passwords so that you don't have to remember each one of them. All of this is secured with a master password. Additionally, you can also import your Password Keeper data from your previous BlackBerry phones. The only downside as I see is that the app doesn't offer password protected notes and an option to add bank account/credit card details. In my opinion, BlackBerry deserves to be entrusted better as opposed to third-party services. Apart from Password Management the Keeper also offers the following features, auto lock, support for adding security questions and answers, auto clearing the clipboard, generating a strong password and it also supports BlackBerry keyboard. Well, I am sure the Android purists and the geeks would cry foul, but BlackBerry prefers including root Protection on its phones. Rooting is a method used by power users to gain high-level privileges and better control over hardware. BlackBerry believes that rooting is not for everyone and offering the Evolve devices with unlocked boot-loaders can cause problems. The point of concern is that normal users might brick or cause serious issues with system stability. Moreover, it's a known fact that rooting also exposes sensitive hardware/software of the device to the malware. Worried about the sneaky people who keeps staring at your phone in public places. Well, BlackBerry has you covered. The BlackBerry Privacy Shades blacks out a part of the screen thus making it impossible for the strangers to have a peek at your phone and spy on your personal messages. The app also offers controls for opqauness of the shade. The feature can be activated for notifications or any part of the screen. This reminds me that the BlackBerry’s strategic pivot to software experiences seems to be finally paying off. BlackBerry Hub isn't exactly a security feature. Thanks to its utilitarian edge it deserves a shout out. The BlackBerry Hub aggregates notifications from a wide array of services and displays it on a single dashboard-like interface. It supports apps like Reddit, Discord, WhatsApp, LinkedIn, FaceBook, Slack, Messenger, and others. It is always useful to have all the notifications aggregated on a single screen instead of singularly checking each app.